This images force us to have a panorama of closeness, an accurate look at the skin, hair, detail textures that make up our personal image, giving the opportunity to be part of that intimacy - in this present closeness that is hidden when we see it in its natural proportion, in contradiction they are shown like they were an advertising image, such posters. 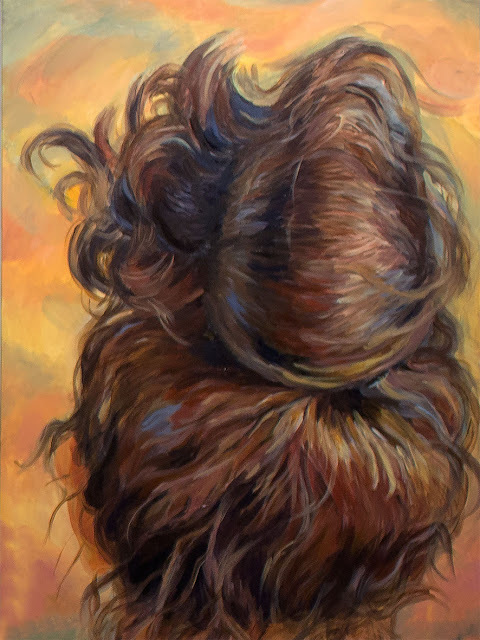 Serie conformada por tres autorretratos, cada uno muestra detalles tomados a modo de imagen publicitaria, pero que obligan a tener un panorama de cercanía, una mirada precisa de la piel, el cabello, texturas que conforman nuestra imagen, obliga a tener una mirada intima y cercana – oculta en su escala natural. Nuca/ Oil on canvas / 80 x 60 cm. 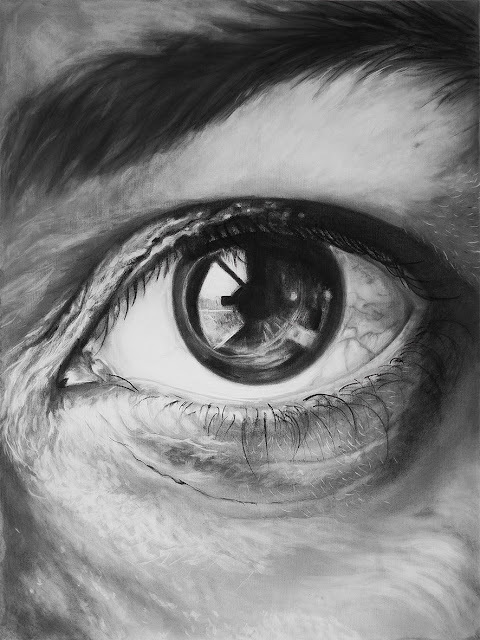 Ojo/ charcoal on canvas / 80 x 60 cm. 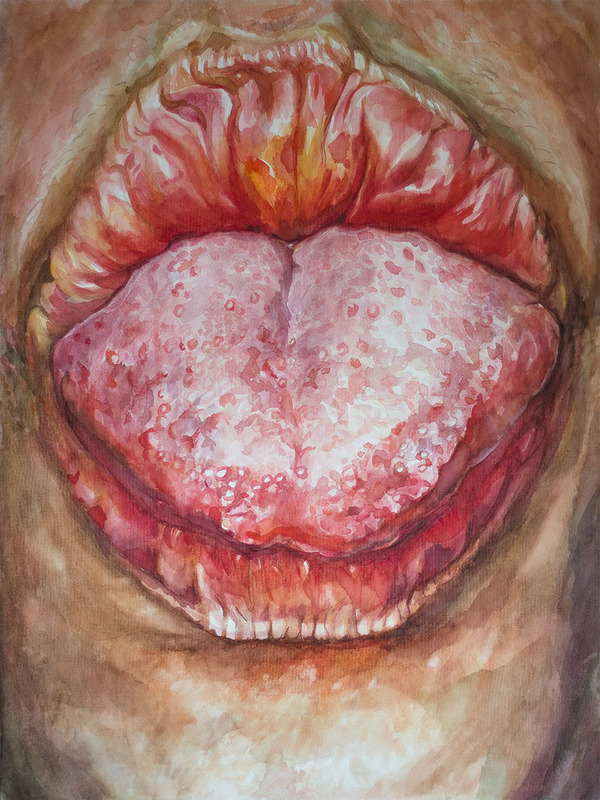 Tongue/ aquarela on canvas / 80 x 60 cm.